The Primitive Methodists were established in the 1830’s and originally met in farm cottages. The Chapel was built in 1851 at a cost of £120.00, this included a cottage for the Minister. Apparently it took 30 years to pay off the mortgage. 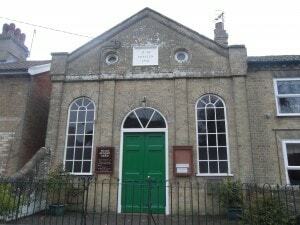 In 1871 a meeting room was built onto the rear of the Chapel. It was in this new room that Joseph Arch held a meeting with local farmers that resulted in the foundation of the Farm workers Union. Services are held most Sundays at 11:00am. Kelsale Methodists join with Peasenhall Methodists approximately once a month. Please see the Notice Board at the Chapel for up to date information.